Back in October I participated in an offseason plan series for the Brew Crew Ball website. 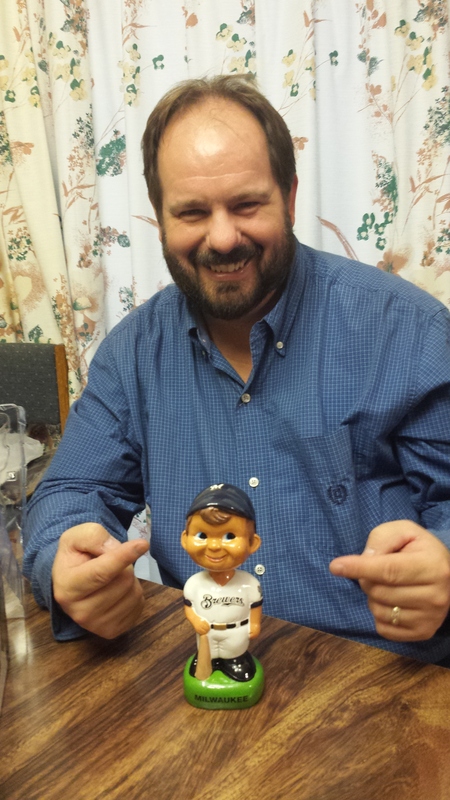 What exactly would I do in the offseason if I were the general manager of the Milwaukee Brewers? As spring training wraps up, it’s time to compare my plan to reality. Armchair general manager Chris Zantow vs. real general manager David Stearns. Stearns agreed with me about Carter not being the first baseman of the future, but went in an unexpected direction. He shocked everyone by non-tendering Carter and signing lefty Eric Thames – a former big leaguer that spent the last three seasons in Korea. Thames is a much cheaper option and put up huge hitting numbers over there – albeit in a hitter’s league. Stearns and I had the same thoughts here. Peruse the list of potential free agents and name one, two, or more that you would pursue, the maximum offer that you would extend to them, and a brief explanation. The free agents I targeted are in bold below. A short description of my choice vs. what Stearns did follows. No. 1: Kelly Johnson (1 year, $2 mil). My plan was to trade Scooter and move Jonathan Villar to second base. It would leave a void at third base, and I envisioned a platoon between Johnson and Hernan Perez. Stearns took care of third base by trading closer Tyler Thornburg to Boston. In return he received lefty third baseman Travis Shaw, minor league shortstop Mauricio Dubon, and minor league right-hander Josh Pennington. No. 2: A.J. Achter (1 year, $750,000). I said to go after Achter as he was an intriguing right-handed option with some major league experience that wouldn’t be arbitration eligible until 2019. Achter averaged a strikeout per inning in the minors with some saves. Detroit signed him in early December. Stearns commented “we think competition is a good thing” when he signed free-agent lefty starter Tommy Milone to a one-year deal in December. I agree! No. 3: Brett Cecil (1 year, $3.5 mil). I looked at Cecil as a great lefty addition to our bullpen and said to sign him with an option year. St. Louis did better than that and signed him to a four-year contract in November. Stearns went back to work in January shortly before his wedding, signing two relievers. First up was righty Neftali Perez, most recently of Pittsburgh. The 29 year-old Perez was coming off a season with a 3.52 ERA in 62 appearances. Stearns then signed veteran Joba Chamberlain to a minor league contract. He appeared in 20 games for Cleveland in 2016 and posted a 2.25 ERA. The Brewers released Chamberlain on Wednesday, March 22. No. 4: Jimmy Parades (1 years, $520,000). I wanted to go after Parades as a guy who plays multiple positions – and Stearns and Craig Counsell love utility guys. Also didn’t hurt that he was a switch hitter. I liked the fact that he was just one year removed from hitting .275 with 10 homers for Baltimore in nearly 400 at bats. One guy the Brewers did snag at the end of January was first baseman Jesus Aguilar – figuring to be a bat off the bench and a right-handed backup to Eric Thames. Aguilar hit 30 homers and drove in 92 to lead the International League last year, but was placed on waivers by the Cleveland Indians. He had 64 big league at bats for the Tribe over the past three seasons and put up just a .172 batting average. Aguilar was informed this week that he’d be on the opening day roster. No. 1: Trade Ryan Braun to the Dodgers for Yasiel Puig, Brandon McCarthy, and minor league pitcher Issac Anderson. I would prefer Braun to be a Brewer for life, but his value increased after an injury free year and he put up his best numbers since 2012. Plus his no-trade clause will be kicking in soon. The time has never been better to move him and free up some money that can be spent in the future. If Puig is ineffective in Milwaukee or turns into a clubhouse cancer, we have outfielders in the minors that are almost ready to join the team. We could take a serious look at those other options late in the season. McCarthy is an innings-eater so even though he’s coming off Tommy John surgery, I’d still roll the dice. I don’t view him as a long term option in the rotation, so he’d likely be flipped for prospects at the deadline or in the offseason if he performs well. Anderson was a Top 100 Dodger prospect in 2016, and if he stays on track could be in the majors by 2020. Just adding another pitcher to our minor league system by tossing him into the deal. No. 2: Trade Scooter Gennett and Matt Garza (with $8 million) to the Angels for a pair of mid-level non-pitching prospects, and a lower level prospect. Scooter is expendable with Villar moving to second base and is a bargain for another team not looking to add much salary. The Angels are that team. They could use help at second base and in their rotation, but would probably be reluctant to give up any pitching prospects in return as their system doesn’t have much depth. I’ll take what I can get to move Scooter and Garza while adding more players to the farm system. It’s addition by subtraction because it opens up a spot on my roster to shore up third base a bit with a free agent signing, plus move Villar to a position I’d like him to man for years to come. I have to get rid of Garza at all costs as he doesn’t fit into my long view for the Brewers. I need to see more of our young talent in 2017 and would be willing to eat some of Garza’s contract to open up a spot. Easy for me to say, since it’s not my money. 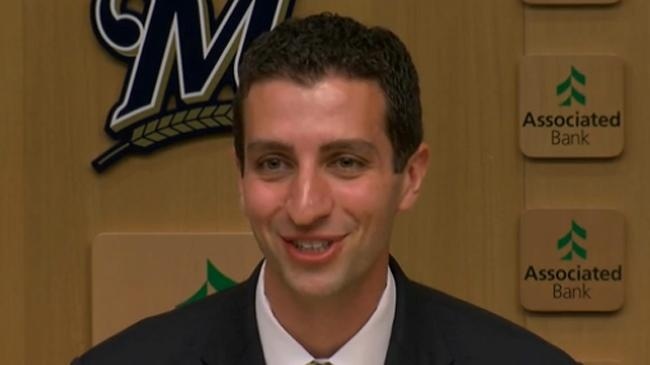 David Stearns trades: See above for Tyler Thornburg deal with Boston. I mentioned in my original non-tender summary that it pained me to tender Martin Maldonado. Stearns traded Maldy in mid-December with minor league pitcher Drew Gagnon to the LA Angels for catcher Jett Bandy. The gain is that Bandy is four years younger than Maldonado and four years away from arbitration. Scooter spent spring training learning how to play other positions in an effort to potentially see more action this season. He was placed on waivers this week and claimed by the Reds. Garza – around for the time being. In my offseason plan I operated under the idea that the team improved to 73 wins in 2016, so inching closer to .500 in 2017 was well within reach at an affordable price. My goal was to move players that make sense to move while adding others to fill holes while we wait for minor league prospects to arrive, presumably later this year and in 2018. Many of the young players at the major league level and on the way should create a core that will bring another playoff run to Milwaukee. Another aspect of my offseason plan was to continue building a foundation while keeping costs down, as my long term plan is to field a team that can win 85-90 games in 2018. My team with costs (including arbitration projections) is listed below, followed by proposed rotations and righty/lefty lineups. Of course this isn’t what Stearns will be fielding as he didn’t make the moves I proposed, but it’s all good. No hurt feelings from this armchair GM!